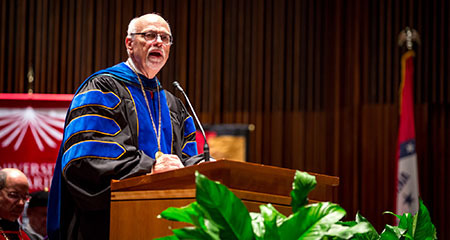 I wouldn’t be chancellor of a major university if I didn’t believe in the power of education to solve problems, increase empathy, improve lives and bring people together in shared purpose and humanity. 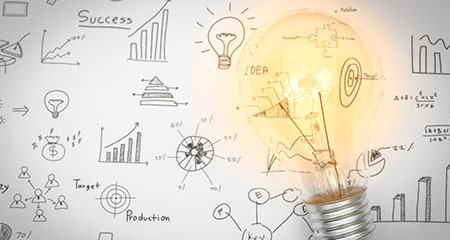 Do you have an idea about how to make an existing process more efficient? Or have a suggestion on how we might improve a university policy or procedure? If so, please take a moment to share. A comprehensive public land-grant institution with a mission of teaching and learning, research and discovery, and outreach and engagement including a focus also rooted in the strengths of the institution and attuned to areas for continued growth and improvement. The university recently released Leading Change - a publication highlighting campus priorities and good news from across campus. 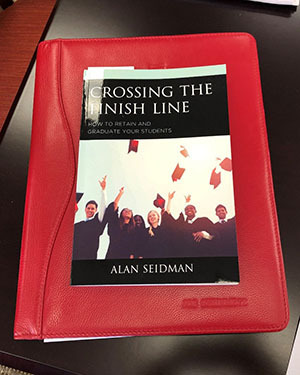 Crossing the Finish Line: How to Retain and Graduate Your Students by Alan Seidman. Retaining and graduating students is challenge for colleges and universities across the country, and the U of A is no different. Dr. Seidman makes the case that if you have accepted a student into your institution, you have an obligation to provide the programs and services needed to help that student persist to graduation. This book provides insight into what those programs and services look like, and why they matter.